4 access bridges with safety cages for accessing the tops of tank cars from a platform. 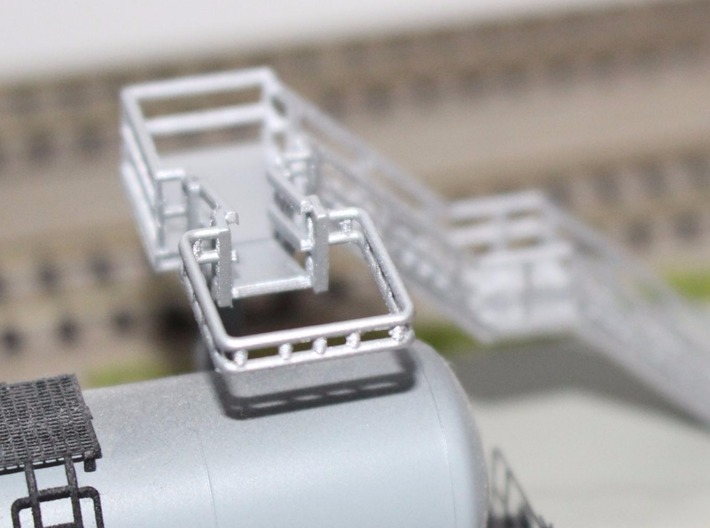 These bridges are half-way up, to allow trains to pass underneath but also appear to be in the loading process when a tank car is spotted below the bridge. 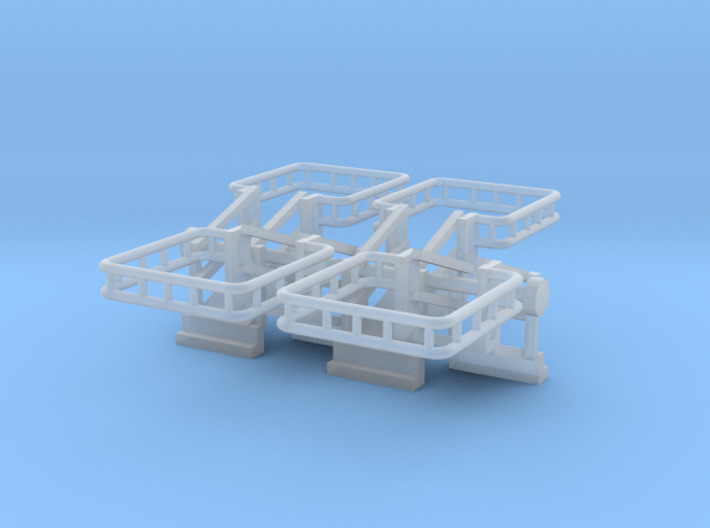 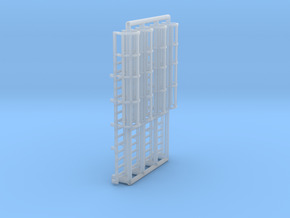 These are designed for the platforms found in my Loading/Unloading section. 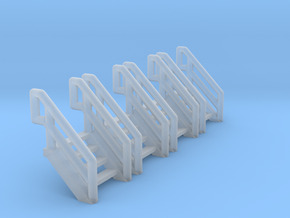 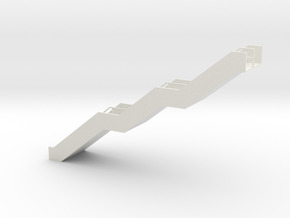 They can be mounted on other structures as well, as long as the walkway is 30mm above the track.